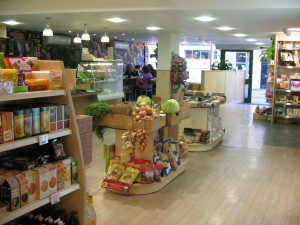 Food Fanatics was started by Martin Williams and Richard Faulkner with an original concept of providing a high quality food and services that would complement the existing food retailers in a particular location. After an extensive search, Winchcombe in Gloucestershire was considered an ideal location as the town already had two quality butchers, an independent baker and a mini-supermarket. 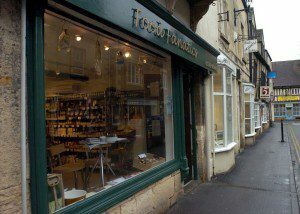 Once a suitable shop at 11 North Street, Winchcombe had secured and the conversion works completed, the delicatessen opened on 24 July 2004. As a result of the success of the delicatessen at the 11 North Street over a number of years, and with the increasing demand to expand its range of high quality foods and services, Food Fanatics made a decision to move into a larger shop at 12 North Street, Winchcombe and following conversion works, the new delicatessen and coffee shop opened on 23 May 2011. The new shop at 12 North Street provides with more room to discover and enjoy our expanded range of foods and drinks, and the coffee shop had enhanced the overall shopping experience. The new shop has also allowed Food Fanatics to increase its capability to prepare bespoke hampers and buffet lunches. Food and drink are such key elements to our lives and the principle aim of Food Fanatics is to encourage people to become fanatical about the food and drink they consume; to care where it is sourced from and also how it is grown or prepared. Central to achieving our principle aim is the service provided by our staff. Martin Williams is the managing partner and leads the team in the delicatessen and coffee shop. Martin has many years experience working in high quality food and drink establishments, having served in the Britannia restaurant on board the Queen Elizabeth II and working for Raymond Blanc’s Le Petit Blanc restaurants in Cheltenham and Oxford.